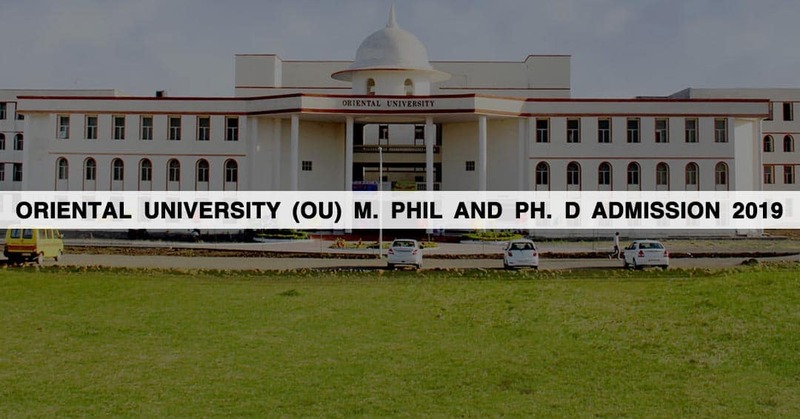 Oriental University established in Madhya Pradesh in the year 1995. The university was established under the UGC Act under Section it is a private university in Indore. The university was founded by Devi Shakuntala Thakral Charitable Foundation. It is spread over 17.6 acres of land on the Indore-Ujjain highway near the international airport. A student applying from Science background should have scored minimum 55% in M.Sc. Eligibility: Students applying for Ph. D should have obtained 55% marks at Post Graduation level in the relevant discipline. Candidates with an experience of 1 or 2 years in govt. or private sector is given more preference. The students can download the application form from the website www.orientaluniversity.in/phd. The selection will be based on the marks obtained and the entrance exam and personal interview.